the new table top board game. the balls at the end of the channel. 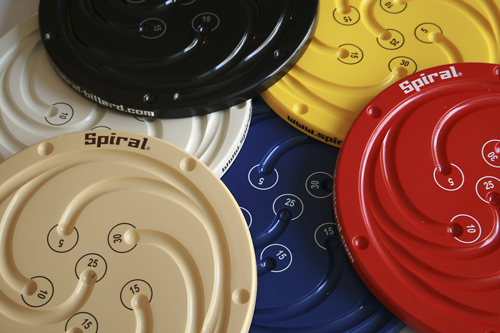 Spiral Billard - Spiral Snooker. A fun dexterity table top game ! 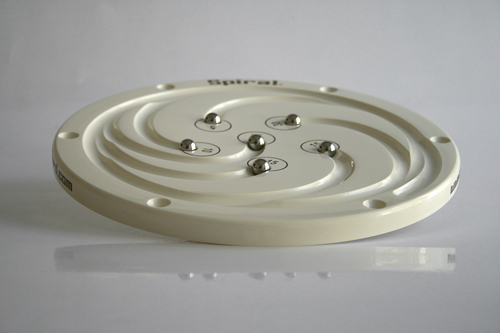 Diameter of the board: 27 cm = 10.6299 inch. plastic resin made. are scoring " The perfect " worth 250 points. 2 or more balls in the same alley -> Ex. 3 balls 10 points = 30 points. Overall a fun kids,family, light dexterity, table top game.